I started along a broken and bumpy road on January 28. Frankly, I knew this road was on the horizon but never wanted to travel it. The initial pain was driven further into my heart as I repeated the news to my wife, my other two daughters, and a number of other family members and friends. Mid-afternoon on that first day, my wife found me walking in circles in our kitchen. She asked me what I was doing. Those first foggy hours were filled with sobs and confusion that came in waves. 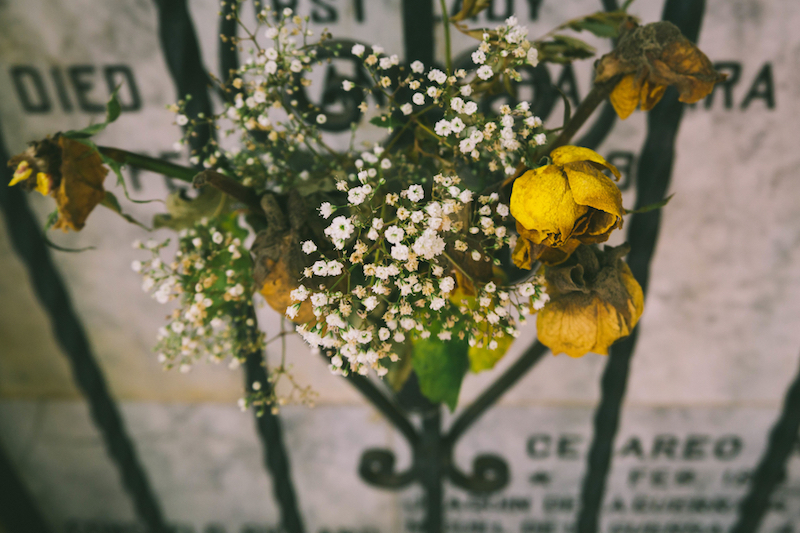 I accepted the unthinkable task of meeting with a funeral director and making arrangements for my daughter, just weeks shy of her 29th birthday. I was going to be the one to deliver the memorial sermon, something I’d done many times before for others. But this was incredibly different. By God’s grace, I did, and our Lord, in his mercy began work in and around me that only he can explain. While the deep sorrow has started to slowly fade, the ache is still fresh. In hindsight I see vividly that God’s grace has been the unrelenting power sustaining our family in the weeks since that shocking phone call. Here are some things I’ve become aware of—lessons I’m learning about myself and about life, loss, love, and addiction. Though I am a seminary-trained pastor, much of this wasn’t covered in the classroom. 1. Presence is better than words. It has been interesting to hear how people express themselves when death comes. Words fail. Some try to force words, attempting to manufacture something that will fix the mess or soothe the pain. Religious platitudes abound. I know the words are well-intended, but they rarely help. Simply being present is helpful. The strength and embrace of another individual, made in the image of God, reflecting his power and love. Talking is fine, and I’ve done much of that, too. But the strongest support has come from presence. As a pastor I’ve been on the other side of death. Yet I realize more than ever that being willing to merely sit with others in their pain is enough. God can use this presence greatly. 2. Love is active and varied. What our family experienced from hundreds of people was nothing short of remarkable. I lost track of the number of texts, calls, emails, Facebook messages, and hugs—big, wonderful hugs joined with tears. There was food from unexpected places and cards expressing heartfelt kindness. We received beautiful flowers and plants that continue to remind us of this outpouring of human compassion. Moment by moment, we’ve been covered with a multitude of prayers, helping us in our suffering. All of this is love. Jesus explained the greatest commandment is to love God completely and to love others selflessly. I’ve seen that love in action. Frankly, this others-centered love is missing from many parts of the American experience, even in churches. If Christians hope to see this world transformed, it must begin with an active, purposeful, sometimes risky love, and a willingness to enter into others’ pain and mess. This is the gospel in action, and it has power. 3. God works in the mess. Our family has witnessed the hand of God. Pieces fell into place so we could travel unhindered to be with family. Resources came together from a variety of people to provide for unexpected expenses. Hundreds came to the memorial gathering. Some who stayed after the memorial wouldn’t likely attend a regular church service, mainly because they’re the sort the church has so often marginalized. They don’t always feel welcomed and loved. Because of this tragic event, many obviously hurting and broken souls heard the hope-filled message of forgiveness and grace found in Jesus Christ. I spoke with a young lady who was noticeably impaired, and we wept together as she struggled to make sense of the loss. It was hitting close to home for her. I’ve been told another person, dealing with daily drug use, afteward told a friend: “I want help; I don’t want to die.” The church building was filled with a diverse group not often found in our services today. Dozens more have watched the service on video. In the valley of the shadow of death, God enabled me to stand and preach, from a place of strength and love, sharing my heart as well as the gospel. Only eternity will reveal the effect of these events. It was clear to me God was guiding every moment. 4. Addiction is all around you. I’ve seen the ugly face of drug and alcohol addiction. Many of us have. It’s sad and often painfully obvious. The topic is typically only whispered about in the hallowed space of our churches. We can no longer be silent about these things. Bringing them into the light and under the influence of the gospel is where healing and transformation will take place. With compassion and not condemnation, Christians must be willing to embrace those struggling with addiction. Too often I fear we are like the older brother in Jesus’s parable of the prodigal, sneering at the wrecked life being warmly welcomed by his father. Addicts don’t need judgment; they need Jesus—just like I do. It’s time we recognize that addiction is all around and even within each of us. Addiction is the heart’s desire to repeatedly cling to, rely on, flee to, and find satisfaction in anything other than God. Sadly, many of our addictions aren’t viewed as ugly. Some are even celebrated. Addiction can take the form of perfectionism, people-pleasing, peace-making, competence, control, achievement—the list goes on. When we embrace these things as a means to satisfaction, affirmation, and ultimate joy, they are just like drugs. We are broken people, all of us. Some Christians are completely unaware; others are cognizant, but fight to keep these things in the dark. The shame of identifying as a struggler is too great. But in the light of God’s grace, within safe and loving community, we will find freedom from all our addictions. Our churches must be safe places for those obviously wrecked, as well as those scrambling to cover their wounds, scars, and struggles. 5. Grief is odd and unpredictable. I realize grief is a process that takes time. I will not get past this tragedy in a few weeks. At times I want it to be over and done, neat and tidy. But grief doesn’t work that way. Even though we all know about it, death startles us when it knocks on our door. There is no right way to navigate this road. My experience is unique. There is great comfort and strength in having others supporting me on this journey, loving me, praying for me. I don’t know exactly where this road will lead, but I am confident God doesn’t waste anything. He is with me. He is for me. And he is using this excruciating experience to shape me. If it were up to me, I would choose a different road. But it’s not up to me, because I’m not God. I’m not in control. So I will trust him to guide my steps as he continues to teach me, praying he will use this heartbreaking event to encourage and awaken others. Jon Cyrus (MDiv, Southern Seminary) is senior pastor of First Baptist Church of Prospect, Kentucky.